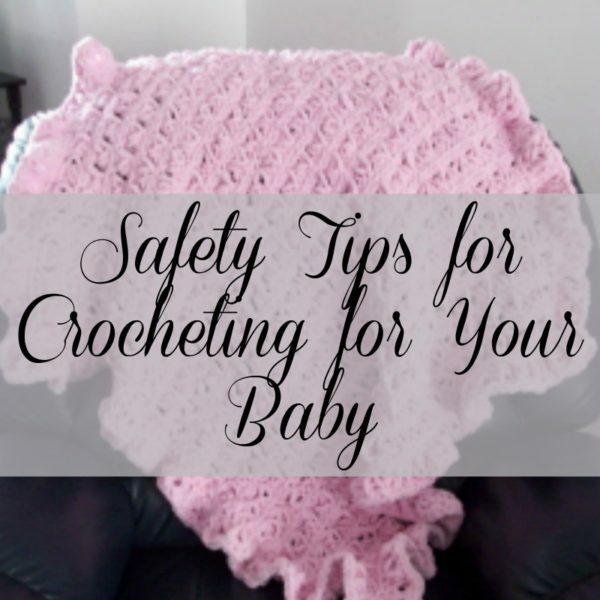 When crocheting or knitting for your baby you want to make sure that you don’t endanger the baby in any way. You want to make sure the yarn is safe, that all buttons and other items are secured nice and tight. And you also need to make sure that the item fits properly. Anything too tight could be a safety hazard for your precious bundle of joy. And you don’t want that. Most yarn stores have a section for baby yarns. These yarns are designed specifically for babies; however, that doesn’t mean that these are always going to be safe for your baby. Each baby is different, and thus you need to consider the needs of your baby. And you certainly are not limited to the yarn found in the baby yarn section either. The key point to remember when choosing a regular yarn for your baby is to choose something soft that won’t irritate the baby’s sensitive skin. Cotton yarns are generally safe, but you could also choose from a wide variety of soft acrylics such as Caron Simply Soft and Red Heart Soft. The yarns to stay away from are those with beads, fringes or anything else that could end up loose and the baby’s mouth. And once again, just because a yarn is marketed as a baby yarn, does not mean that it will be safe for your child. Always check to make sure that it’s solid enough so no strands will come loose and end up in the baby’s mouth. Consider also the material the yarn is made of. Wool is often scratchy, and thus may not be suitable for anything that will come in constant contact with the baby’s skin. Plus, many people are allergic to wool, so keep that in mind also. Another yarn to double check on is Bernat Baby Blanket. It’s made of 100% polyester. It’s a chunky, soft, and a luxurious baby yarn. However, I personally do not recommend it. Now, I know that I’m a special needs case, but when I worked with it several years ago I ended up with severe headaches every time I worked with it. And if I can get headaches, so could a tiny baby, especially if they’re already sensitive to other things. It’s a beautiful yarn, and I hate to say anything negative about it; so go ahead and use it, but make sure that your baby is okay with it. This is one of the baby blankets I made with Bernat Baby Blanket. Lastly, in regards to materials, is to remember the season. Acrylics are great for keeping them super cozy in the cold winter weather, but are generally not recommended for the summer because it doesn’t allow the body to breathe like cotton does. And a small baby could easily become overheated as you head out in the stroller. When finishing your baby’s item, make sure that everything is nice and secure. All buttons, appliques and other embellishments can come loose if not attached properly, so make sure to use a strong material to secure everything. And also be sure to use a proper technique that will hold up to the baby playing or pulling on it repeatedly. Another thing to double check is your loose ends. The last thing you want is for the item to unravel and strangle or choke your little one. That would be a real tragedy. So please leave a longer tail than normal to give yourself lots of yarn to weave in and out to secure your work. This goes for all baby items from clothing to baby toys. A garment that’s a bit too big on a baby is probably harmless. Just make sure it’s not overly big, otherwise they could get themselves into trouble. 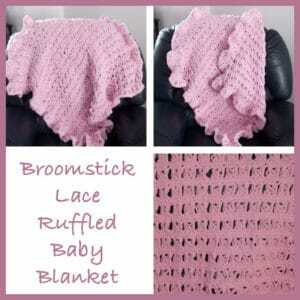 But make sure that you don’t cut off their circulation by crocheting items that fit too tight. This goes for hats, sweaters, pants, booties and anything else you decide to crochet for them. Always check your gauge to ensure it’ll come out to the size intended. And also, be mindful of the material you use as some material will result in a much more comfortable fabric than others. Acrylics are generally stretchy, whereas cotton not so much. Another thing to consider is the lace. You don’t want any holes big enough for the baby to become tangled up. A bit of lace, big enough for their fingers to poke through, is generally safe; but you don’t want their entire hand to go through and get caught.